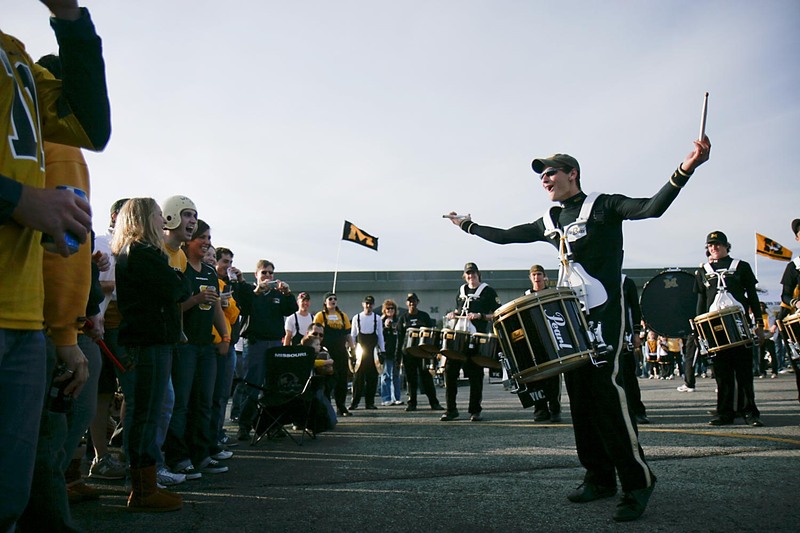 Before each Mizzou home football game, the drum line performs in front of former Mizzou drummers. Halfway through the performance, the old guard takes control of the drums and puts on a performance of their own. 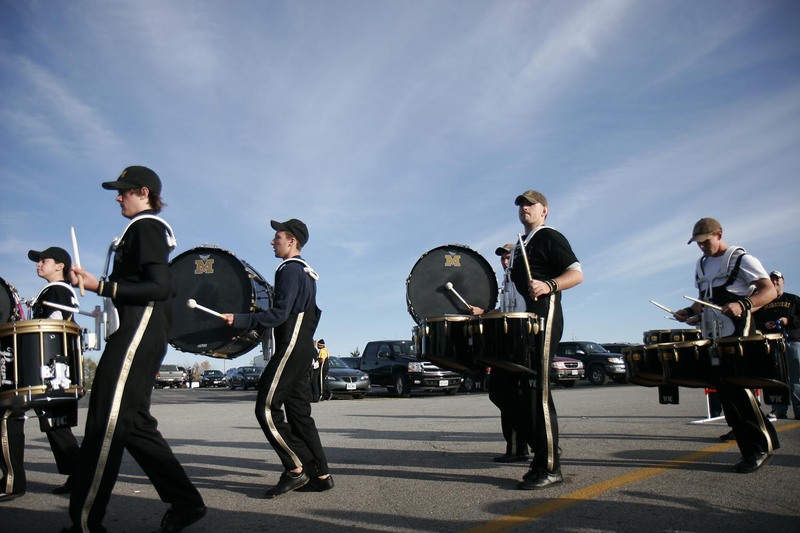 Here is the drum line before the start of last week’s homecoming game against Texas. 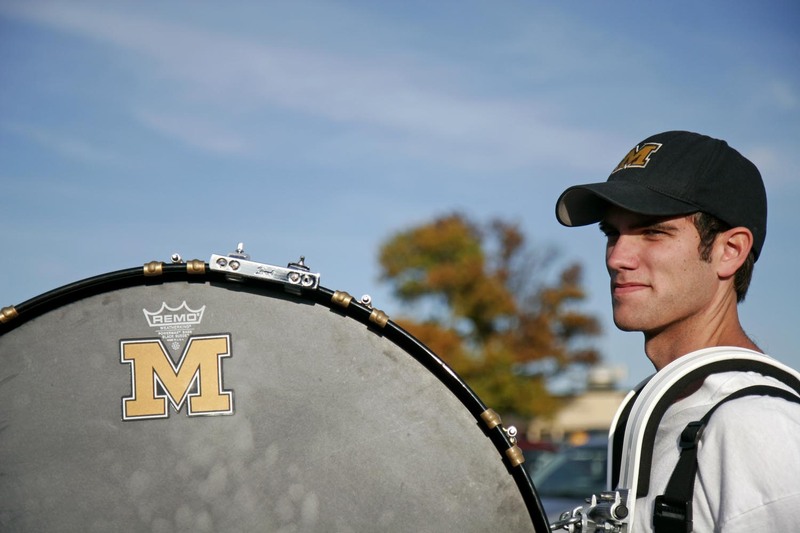 Jim, I am a member of the Missouri Drumline, and we would like to use your photos for our new website. Email me at jamesbadgerow@mizzou.edu if this is okay or not. Thanks!